An Introduction to Eradicating the Vaginal Yeast Infection - YeastInfection.Org by Eric Bakker N.D. Many female patients we see want to cure their yeast infection once and for all. They have most probably been to their medical doctor before seeking relief, and it is usually instant relief they are looking for. They want it fixed and they want that annoying prob­lem fixed NOW. Can you relate to this? The you’ve come to the right section on my website. Some have visited their doctor just once, some twice, and yet others have gone to their health care practitioner literally dozens of times repeatedly trying to find the magic cure for their yeast-related problems. I would question the motive as to why any health-care professional is happy to see a patient routinely over and again, often giving the same advice and not seeing much improvement, let alone a permanent cure. This chapter is about a QUICK improvement, but not about a permanent cure in most cases. If you are looking for a permanent answer you will need to adopt the Candida Crusher Program. By following my 3-step male or female fast relief plan outlined below, you will get quick relief and sometimes within a few hours. You can do this mini program over and again and each time you will most probably find even more relief. I have always found that the women most often wanting a quick solution for yeast related problem would be generally referring to a vaginal yeast infection. 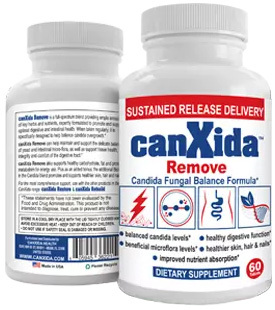 If it is a permanent cure of your yeast infection you are after, then it is important to follow the entire Candida Crusher program outlined in my book in addition to following the blueprint I have given down below. The female fast relief plan is a part of my Candida Crusher protocol, the same protocol I have recommended and fine-tuned over the past twenty years in my clinic. I know it works particularly well for most all women who follow it, because that is the feedback I nearly always get. Important Note: Women who are experiencing a mild case of vaginal thrush will find this chapter most useful. If you condition is severe, then it is important to get the right diagnosis rather than to keep on treating a condition that may later turn out to be bacterial vaginitis or even an STD. For these reasons, be sure to visit your doctor to get the right diagnosis. Women’s yeast infections are easy to treat at home and you won’t need to take any drugs or creams from the doctor either. I will outline the quick program below and give you all the instructions you need; this is one problem you can easily fix yourself. If you have a menstrual cycle, it is important to commit to the program even during your menstrual period. Candida yeast infections can multiply rapidly during your flow days and particularly just coming into the cycle and just when it finishes. Many books I have read say to stop any treatments during your period, and that you may “cause harm” if you treat during your period. This is simply not true, and some women will wish to continually treat, even during their flow days, whereas others will wait until their period is finished, ultimately it is up to you but there is no reason why you can’t continue treatment. Here is a quick solution that will give you almost instant relief from your vaginal yeast infection, sometimes in a matter of hours. Follow each of the three steps in succession for the best results. You can repeat this series of treatments as often as you like. The quick vaginal solution is in three parts. There is a reason why there are three stages that I will explain. Sure you can just do a douche like many books recommend, but from experience in treating many women with this annoying problem; I have found my 3-step protocol to work the best. Skip stage 1 if you feel uncomfortable about it or just can’t access the Manuka honey, but I do urge you to try it at least once. You will be pleasantly surprised at just how amazingly effective this 3-stage protocol is. Because it works very well and gives immediate relief. The three stages are best used in succession, try not to skip a stage and you can increase or decrease the duration of each stage depending on how much time you have, the severity of the condition and your experience level of using this effective protocol. In the next few posts, we’ll outline each of these phases.